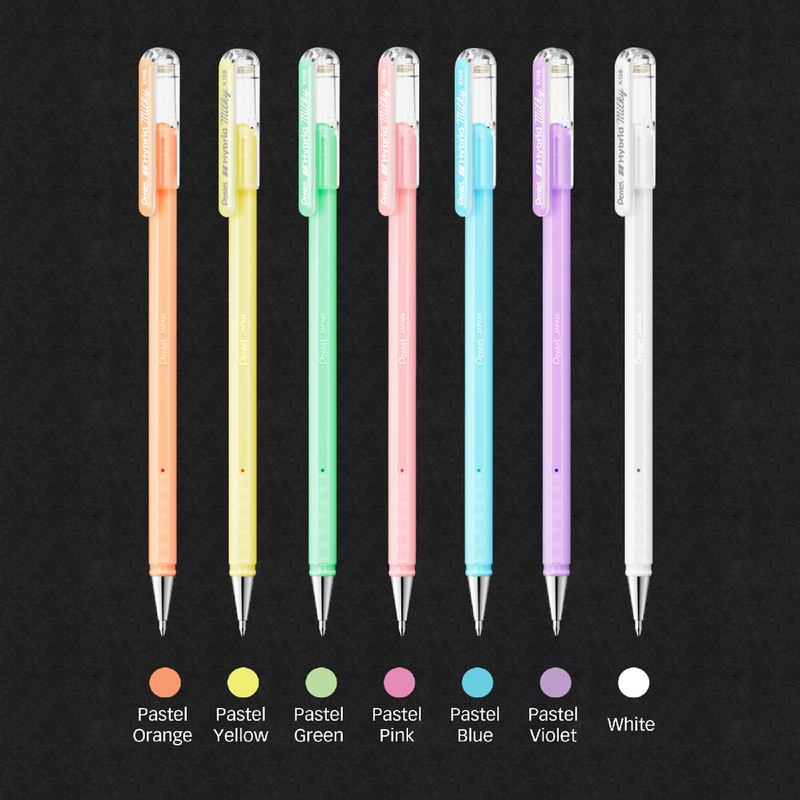 Look who’s back better than ever – Hybrid Milky 0.8mm Gel Roller Pens! 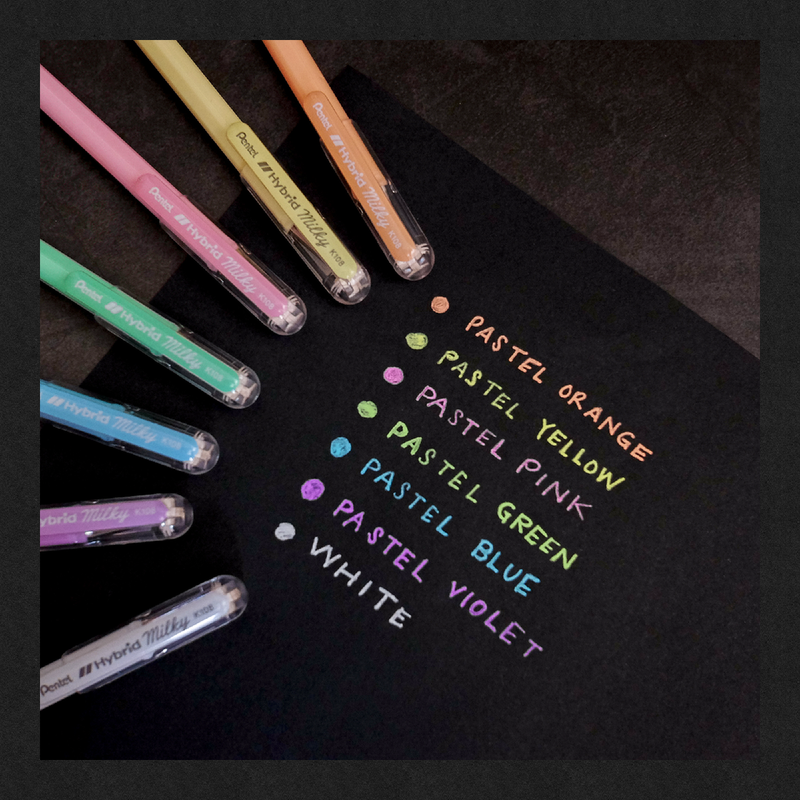 Add a "POP" of colour to any page with Milky pastel gel ink. Use to add decorations on cards, scrapbooks or photos. Vivid colours on white paper, bright pastel colours on black paper. Orange, Yellow, Green and Pink glows under blacklight.